People are injured in traffic accidents everyday throughout the state of Idaho, and Mountain Home sees its fair share of these crashes. Whether your car accident resulted in only a damaged paintjob and a few cuts and bruises or massive vehicle damage and debilitating injuries, receiving a fair settlement from an insurance company or the at-fault party is no easy task—which makes the job of every Mountain Home car accident lawyer at our firm incredibly important. Without an experienced attorney to guide you, you might never be able to recover the damages and financial expenses you incurred due to the wreck. Craig Swapp & Associates can assist you by handling the process of seeking compensation on your behalf. Negligence of some sort factors into the majority of car accidents. In fact, it’s estimated that approximately one in five car accidents are caused by distracted driving. Texting, eating, adjusting the radio, and talking either on the phone or to passengers—all of these activities can cause a car accident when performed while driving. In fact, cell phone use while driving has been found to be equivalent to driving with a blood alcohol content level of .08 percent—making distracted driving as dangerous as drunk driving. While we all know these driving behaviors are dangerous, they continue to be performed everyday by drivers everywhere. If you were the victim of a distracted or drunk driver—or of any other type of car accident that wasn’t your fault—contact a Mountain Home car accident lawyer from our firm immediately. Whatever caused your car crash, we’ll work tirelessly to build a case demonstrating the negligence of the at-fault party. The type of accident you were in could actually be extremely important to your case, as it may provide evidence indicating who was at fault. Your Mountain Home car crash attorney will need to know all of the details of your wreck in order to determine all of the parties that need to be named in your lawsuit. What Can Be Compensated in a Car Accident? 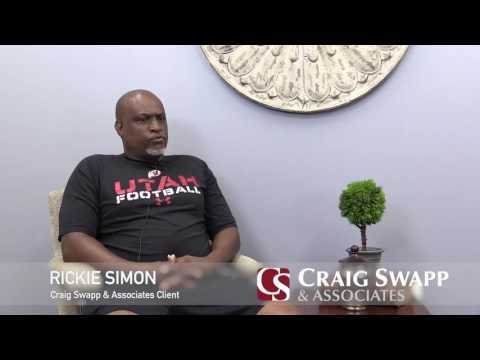 At Craig Swapp & Associates, we’re here to listen to your side of what happened, and then get a claim started on your behalf. The statute of limitations in Idaho is just two years for personal injury claims, so don’t hesitate to contact us. Your Mountain Home car accident lawyer will be dedicated to bringing your case to a successful conclusion with the best settlement possible. Consultations are free, and there’s no fee unless you win. Get started on the road to financial compensation by calling 1-800-404-9000 or submitting our contact form below.